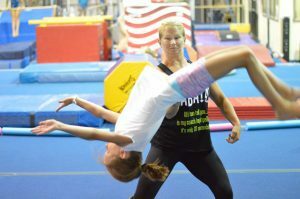 Looking for fun and fitness, but not interested in all-around gymnastics? Cheerleaders–looking to perfect that round-off back handspring or standing back tuck? Back yard tumblers looking to learn safe technique? Dancers looking to increase your tumbling repertoire? Then our tumbling classes are just for you! Check out our classes page for pricing & scheduling information. 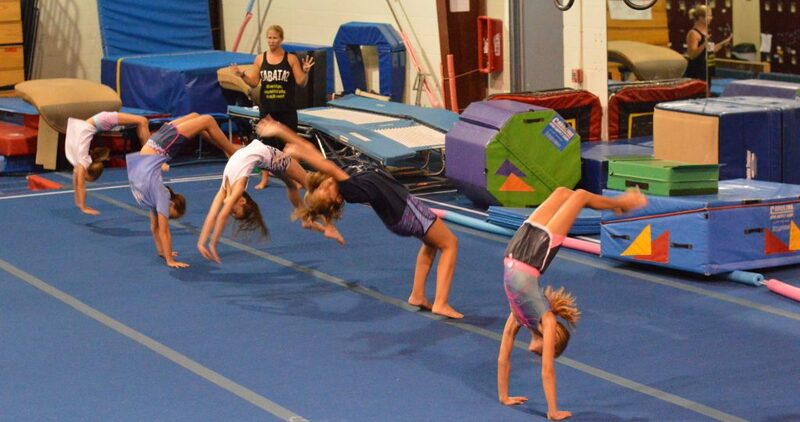 We have tumbling classes every weeknight so we are sure to be able to accommodate your busy schedule!